Gary Vaynerchuk wants to take over the world, one person at a time. From a youth spent watching professional wrestling and selling baseball cards, he’s converted his enthusiasm and savvy into a phenomenon. Using a daily Web video show (Wine Library TV) to communicate directly to consumers, Gary geometrically increased the size of his family’s wine and spirits store in New Jersey. Realizing that he could help others with their business success, he began a personal branding and social media video podcast (garyvaynerchuk.com), and is now a much in-demand keynote speaker and consultant. A frequent guest on national TV programs, Gary’s first book in a 10 book series will be released on October 13. It’s called “Crush It! 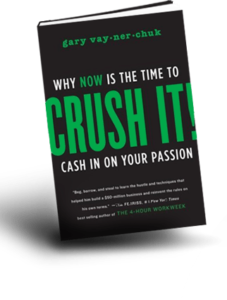 Why Now is the Time to Cash In on Your Passion” Gary talked about the book, his success, and of course wine in this live Twitter interview on October 8. Most of the questions for this interview were provided by readers of this blog. I asked 15 reader questions during the interview. Each will receive a free copy of Crush It! courtesy of Convince & Convert. (Question authors noted and linked below). @garyvee: I was watching my devs watch online video during lunch in early 05 and said “this is where it is all going” I need it! @garyvee: I have become busier, but it hasn’t changed. More people just care to interact with me. @garyvee: READ! You need to know what’s going on, and understand you are NO LONGER in control, it is about listening. So Google away. @garyvee: Stay away then. More for me and my friends. @garyvee: I don’t, I just hustle and care about the important things! Love family 1st and work hard and you win. @garyvee: Go to Chile and you can find really good Pinot for $16 0r so, but yeah the grape makes it harder. 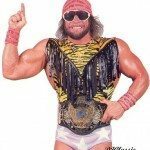 @garyvee: Randy the Macho Man Savage. @garyvee: working with my Dad. We are different – I was #2 not a place I like 😉 It was hard but our love won out over $. @garyvee: NO and I am not joking, I love the process so when I go for it, I do it! And am happy for it, good or bad. @garyvee: If someone asks something I don’t want to answer I tell them 🙂 Otherwise I just let it out. @garyvee: I can’t do it! I am not a good writer so it is hard, so I audio’d the whole book! @garyvee: Great question, I got a big backend deal and thought the infrastructure they had and all the people was worth it. @garyvee: Wow awesome question. I am not sure, I would say of course, but it will take more time. 16. @jaybaer: What has been the greater key to your success? Your knowledge of wine, or your knowledge of social media? 17. @jaybaer: You’ve inspired and helped many people. Who inspires and helps you, other than your family? @garyvee: Everyone and no-one…make any sense? I am not a consumer, it is really a wild part of me. That said anyone can inspire me. 18. @jaybaer: As you get “bigger” more and more people take shots at you. How does that make you feel? How do you respond? @garyvee: I respect it, I have a BIG personality it comes with the territory. BUT I am not phased by anyone! 19. @jaybaer: Generally, winemakers and wineries are not very adept at social media. Why? Seems like a big opportunity. @garyvee: I disagree the last few months they have exploded with their adoption. 20. @jaybaer: What’s the #1 takeaway from Crush It!? Why should people buy the book? @garyvee: Because I lived it and I put it all out there! One place where my thesis is put out at a low price. Wow. Some terrific stuff here from Gary. I especially like the part about focusing on caring and value. Looking forward to reading the book. Congrats to the winners. What was your favorite Gary Vee answer?